Battling to stay in playoff contention in the MIAA B Conference, the Severn baseball team got a complete game effort from sophomore Alex Lashgari to defeat visiting Glenelg Country, 8-2, on Tuesday at Kinder Farm Park. Lashgari scattered six hits and struck out four. Offensively, the Admirals did more than enough to give Lashgari some run support, breaking on top with four runs in the third and four more in the fourrth. Everett Cortes led the way with a pair of doubles, Alex Rozner and Jordan Mathis added with two hits each, and Mathis drove in three and scored two. Spencer Goldrich led the GCS offense with 2 hits and Michael Fagan had a double and a RBI sacrifice fly. Severn (5-7 overall) evened up its conference record at 5-5 and it now sits in sixth place. Glenelg Country (6-5 overall) is in second place and leads a group of seven teams all within two games of each other, with only one game dividing the teams from third through eighth place as everyone tries to get into the top six to make the playoffs. Also on Tuesday in the B Conference, first place Boys’ Latin (8-2) split a double-header with Friends, routing the Quakers (4-4), 15-1, in the first game and then losing 1-0. 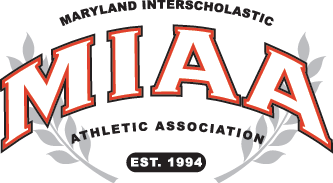 Gerstell Academy (4-5) won big over St. John’s Catholic Prep (4-4), 11-2, Mount Carmel (4-5) overpowered Park (0-8), 15-5, and St. Vincent Pallotti (6-4) topped Annapolis Area Christian (3-6), 5-2. Zach Raynes tossed a complete game, five-hit shutout in Friends win over BL and Franklin Wagner drove in the only run. In the Laker victory, Sam Grace had two doubles, two runs scored and four RBI’s. Jackson Grazin also had two hits, including a double, and three RBI’s, and Charlie Godon and Justus Brown each added a pair of RBI’s. In it’s victory, Gerstell got multi-hit games from Matt Szedlock, Reece Early, Graham Barth, Ty Hawkins, Max Friedman and Matt Nowakowski to win its third straight game. Friedman continued to collect RBI’s and now has nine in the last three games. On the mound Nowakowski took advantage of a 3-pitch inning and a 7-pitch inning to stymie the St. John’s offense. He went the distance giving up 7 hits and striking out 3 while allowing only 2 runs (0 earned). Trailing 1-0 in the fifth, Pallotti scored four times and added one in the fifth to prevail against AACS. Myles Johnson went 3-for-4 with two RBI’s for the Panthers and pitched a scoreless seventh to earn the save. Blake McConaty went 2-for-2 with a run scored.